Oahu is a great place for a high-flying Hawaiian vacation! 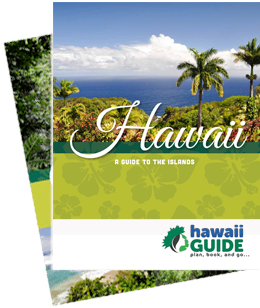 At Hawaii Guide, we know you are anxious to plan your adventures and we're excited to offer you a wide variety of handpicked aerial activities. Whether you're looking to stay completely relaxed during your tour or you're an adrenaline junkie looking for the ultimate thrill, we have an adventure for you. Let us help you get a bird's-eye view of Oahu's breathtaking scenery- check out our spectacular adventures, choose the best one for you, and book your adventure today. Remember, don't waste your precious Oahu vacation time searching for a tour and crossing your fingers for availability. You deserve to enjoy every minute of island time... so book now and live it up on Oahu! Oahu is bursting with world-famous sights and a helicopter tour is a great way to experience them in comfort and style; all while enjoying the best seat in the house! Soar over the South Shore and see Waikiki as most people will never see it. Zip over historic sites such as Pearl Harbor. Gaze in wonder at stunning waterfalls below you. Check out our great rates and even greater adventures and book your Oahu helicopter tour today. Whether you’re an adrenaline junkie or are simply looking to step out of your comfort zone on Oahu, break out the bucket list and get ready to have the adventure of a lifetime. Soar to new heights on a parasailing adventure that’ll surely thrill you. Want even more control over your adventure? Then try your hand at a powered hang gliding adventure and commune with the birds. And if you simply want to let go and jump into adventure, then sky diving is for you. Choose your perfect aerial adventure and book now.